Our facilities provide a gathering place, educational opportunities and support economic development through research and tourism. The Lake Superior Reserve occupies two waterfront buildings on Barker’s Island near Route 53 in Superior. 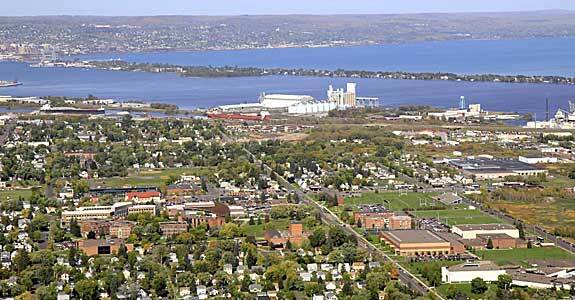 Our buildings, which we purchased in 2011 through funds obtained through a grant from NOAA, are part of the UW-Superior campus. The buildings house our administrative offices and offices for the Wisconsin Sea Grant Institute, as well as a dock-side laboratory, a public science and interpretive learning center and classrooms. 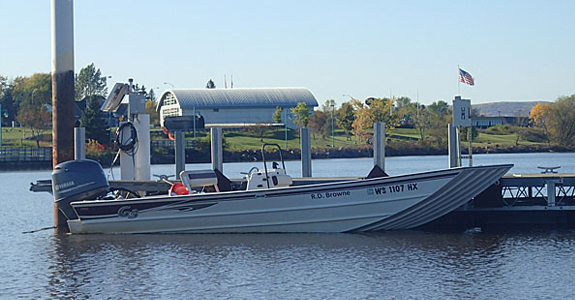 Our dockside laboratory is available to visiting and partnering researchers. The Reserve’s research facilities include a meeting room, student work stations and a 1,300 sq. ft. dockside laboratory. The lab is available to visiting and partnering researchers and houses equipment for water quality analysis and other scientific research. Additionally, the Lake Superior Research Institute (LSRI), housed at UW-Superior, maintains several aquatic biology and chemistry labs. Visiting researchers should contact LSRI directly for more information. 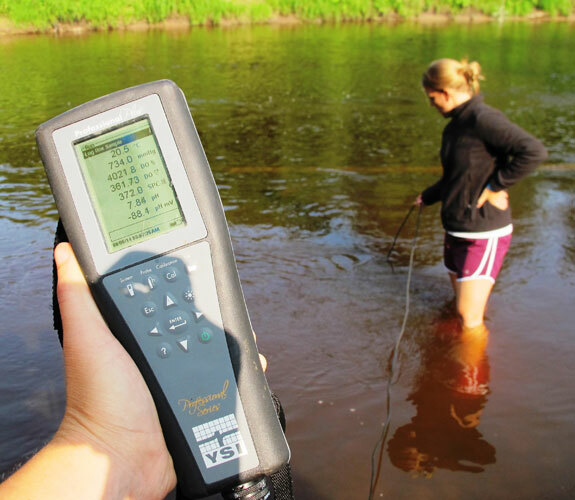 There are many local lodging options that allow visiting faculty, students, researchers, and professionals to stay within a short distance of the Reserve’s Barker’s Island facilities – and experience the beauty of the Twin Ports of Superior and Duluth. The Lake Superior Estuarium creates a better future through community, collaboration and place-based education in the Lake Superior Watershed. 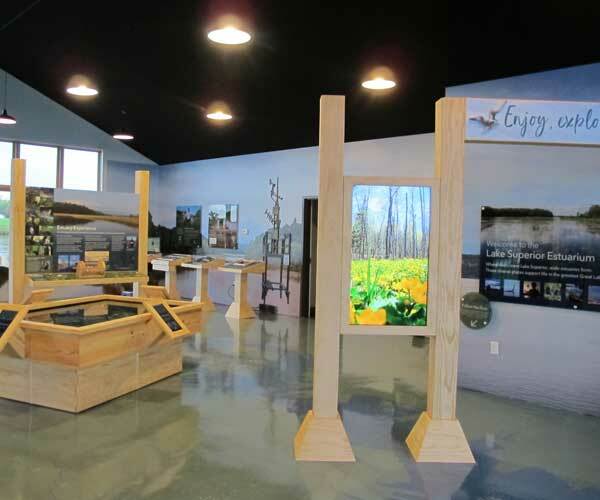 The Estuarium exhibit hall houses fun, family-centered exhibits that tell the story of the St. Louis River Estuary, Lake Superior and the communities on their shores. Visiting the Estuarium is free, though donations are welcome. It is open to the public Thursday-Sunday in the summer (Memorial Day weekend through Labor Day weekend) and Friday-Saturday in the winter season. The Lake Superior Estuarium includes a well-equipped classroom and meeting space and offices for the Friends of the Lake Superior Reserve and visiting researchers or students. 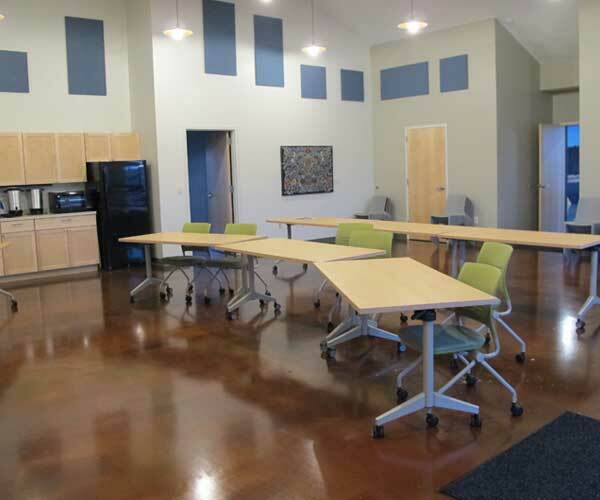 Reserve the Confluence Room for your non-profit, government or business group. The facility is not currently available for private events. Simply check the calendar to see if the Confluence Room is available during the date and time you are interested in. Contact the Reserve and include group name along with the date and time you are interested in reserving. Reserve staff will follow-up as soon as possible.